I decided in the last few weeks to start formally upskill and learn AWS due to my keen interest in the features and offerings they offer but also so that I fully understand how to offer my customers the best possible solutions for their environments. So alike to how I have done multiple learning paths in the past i decided to utilise an exam to enable myself to learn and the AWS: SAA was the first one I am aiming for seeing as it maps nicely to my infrastructure background. Below are all the resources I have been using for the past few weeks (I’m trying to study for two hours after work each day) as well as ones I plan to use before my sitting of the exam. The first resource I am going to use is the exam blueprint which is available from Amazon. The blueprint works the same as VMware ones where everything that is going to be tested in the exam…….wait for it……….is in the blueprint so if it is in there you need to know it. Next are amazing self paced online training videos from the crew at acloud.guru . I have started watching these videos due to being friendly with one of the co-founders and the videos are amazing and the practice tests allow you to do them over and over again as well as telling you where you went wrong unlike the Amazon ones which don’t tell you where you lost your points. Next are the AWS QwikLabs which allow you to do self paced labs. I haven’t had a chance to try these yet but a number of friends swear by these so I have high hopes for them. The vBrownbag of which I am a co-host for the EMEA version have been going through the AWS tracks and have completed the AWS: SAA track in the aim of helping people prepare like we have tried to do for so many other certifications. 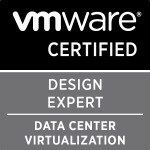 One of the people leading the vBrownbag series for the certification is Chris Williams who has recently done the certification and has broken down is great detail all the resources he used. Insane list Chris!! Another well-known blogger who has recently done the certification and broken down the resources he used is Alex Galbraith. This is a great breakdown and covers pretty much everything you require like Chris’ posting.